Once you’ve established it’s time to pony up for a new vehicle, it’s also time to think about how you’re going to pay for it. Regardless of what type of car will work best for you, chances are there is a huge range of prices in that category. For example, simply saying you need a four-door sedan means you could be looking at anything from subcompacts costing around $12,000 to luxury barges costing in excess of $120,000. Finding something within your budget is key. There are three basic ways to pay for a car: cash, financing, and leasing. If you're in the position of being able to pay for a car with cash, then Congratulations!, but hold on before you get ready to write that big check. Sure, avoiding payments and interest charges could be nice, but maybe that money could be spent elsewhere? For example, if you have credit cards with sky-high interest rates, then paying them off and financing your car could save you money long-term thanks to the lower interest rates of car loans. Despite the image of dealers drooling at a suitcase full of cash, chances are they'd rather you finance and may be less willing to bargain if you're going to write one big check. That's because the manufacturer pays dealers for signing people up for car loans, and without that "back-end" payment, they'll make less. A compromise would be to sign a contract with no early-payment penalty, finance the car, and then just pay it off as quickly as you please. You never know when unforeseen bills can show up in your personal life, so keeping your funds as flexible as possible is usually a good idea. Consider the vehicle’s cost of ownership as well. You may be able to pay cash now, but holding onto some money for repairs, gas and regular maintenance will help in the long run. You don't need to own your car outright straight away; you'll get there soon enough. The vast majority of buyers will either finance or lease their car, and deciding exactly how big your payment can be is one of the first things you will need to do. A rule of thumb is to never spend more than 20 percent of your monthly take-home pay on a car payment, and you probably want to include insurance and gas costs in that figure as well; if you can't afford that, then we’d recommend forgetting about a new car until you work out your finances a bit better. You’ll now need to figure out what that 20 percent can get you. Shopping for filet mignon cars when you have a hamburger budget is only going to frustrate you and waste your time. The last thing you want to do is default on a car loan because you bit off more than you could chew. Don't forget about insurance expenses either, as they can take up a decent chunk of your monthly income if you have a less-than-perfect driving record. There are numerous payment calculators available to help you determine if the car of your dreams fits into that formula. A good one is available at Edmunds.com, and even with just the most basic information, it can still spit out a useful number that, at the very least, will help you keep your objectives realistic. You should also know your credit score. If it's below 700, or if you have blotches like missed payments or a bankruptcy in your past, be prepared to get turned down for the best loans with low interest payments. If your credit score isn’t great, it may be worth it to hang on to your current car for a little longer and try to clean it up. On the other hand, successfully financing a car by making your payments on time each month can help improve your credit score, so the long-term benefit of accepting a slightly higher rate may be worth it as doing so will help you repair your financial history. Traditional financing is a fairly straightforward way to make a monthly payment on a car. You get a loan for the negotiated price of the car, set up a monthly payment schedule that extends between two to six years and make those payments regularly until the term is over. You will negotiate the price of the car, the interest rate and how much your down payment is to give you the best advantage on your monthly bill and the overall price you pay. Good rates are available through the dealership, often along with factory incentives, but there's usually fine print associated with those zero-percent interest specials you see advertised on TV. Very often the lowest rates are for shorter loan periods, so the monthly payment can be higher than you may initially think. 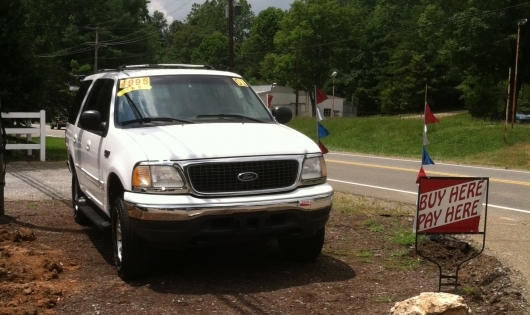 Many times these offers are on slow-selling or undesirable models as well. There are other problems with financing through a dealer. For example, it's not uncommon for dealers to "pad" the advertised interest rate, that is, add on a few percentage points to the interest rate that you qualify for. Although legal, it essentially puts the buyer on the hook for more money that they really shouldn't owe. If your credit isn't good enough for that zero-percent interest special you saw on TV or if you simply don't want to put up with dealer shenanigans, you should check out a loan from a bank since you may get as good or a better rate through your bank or a credit union. Shopping for a car with a pre-approved loan has other advantages, such as not having to haggle with the dealer over financing and not having numerous credit reports drawn by dealers. To check going rates, go to Lending Tree for loans or give Bankrate's automotive site a try to see what lending rates in your area are. Don't forget your own bank or credit union, since many banks will offer a better interest rate to their own customers in exchange for automatic payments from your checking account. If you're currently on active duty in the military, then MILES (Military Installment Loan and Education Services) offers very good loan rates. If you're not sure if you qualify to join a credit union, check out the Credit Union National Association for unions in your area and eligibility requirements. There are downsides to purchasing of course, and we're not talking simply about buyer's remorse. The primary downside is the risk of getting underwater on a car you're financing. This is when you owe more money on a car than its current resale value is worth, and it's more common than you think. Your monthly payments are primarily spent on interest, rather than principle, for the first part of your loan. If you decide you want to get rid of your car in the first two years or so, chances are that you'll owe more than it's worth. For example, let's say you've bought a $20,000 car a year ago and have decided you want a different vehicle. Even though you've made your monthly payments on time, you've only reduced the principle a small fraction. Meanwhile, your car has taken a 25 percent depreciation hit in that first year of ownership. If you decide to trade in your current vehicle for a new one, you'll have to make up that difference and will likely wind up losing a lot of money in the process. 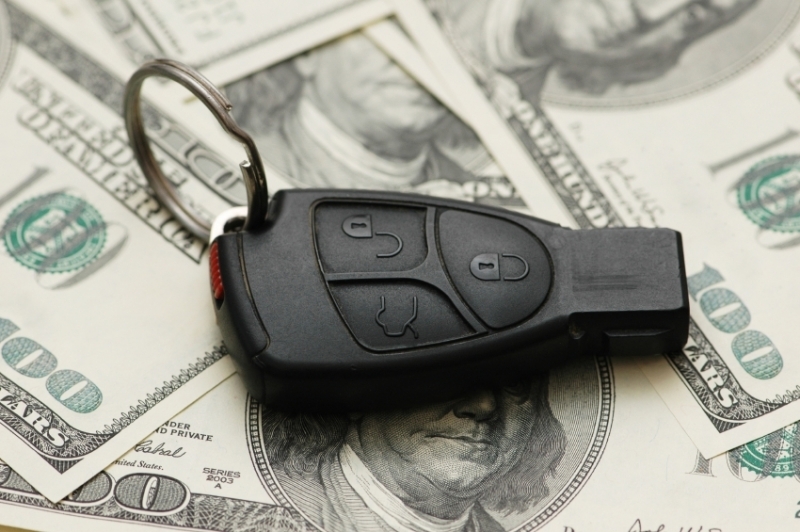 By being aware of the pitfalls of vehicle financing, you can avoid them in the long run. Because, ultimately, owning a car should be an enjoyable experience.